Newcomer Family Obituaries - Andrew J. Friscic 1927 - 2018 - Newcomer Cremations, Funerals & Receptions. Andrew J. Friscic, 91, of Wadsworth, passed away December 3, 2018. Andrew was born in Akron on August 19, 1927. 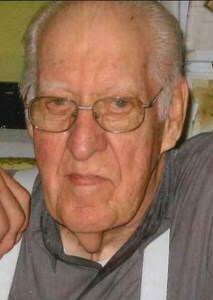 He served as a Corporal in the U.S. Army during World War II, serving in Japan. He spent most of his career as a machinist. Andy loved working on cars. He was particularly proud of his '72 Buick Centurion convertible, which he owned for 35 years. Andy was kind and generous to his family, friends, and neighbors. He was especially devoted to his wife during her illness. Andy was preceded in death by his beloved wife, Magdalene; son, John; parents, Andrew and Mary; brothers, Walter and John; half sister, Erma Ankrom; stepsisters, Rose Wagner and Mary Martin; sister-in-law, Regina Gumpl; brothers-in-law, Philip Gumpl and Anthony Gumpl; grandson, Joshua John Patterson; and cousin, William Weiss. He will be dearly missed by his daughters, Donna-Jean Stagner and Katherine McComas; grandchildren, Krista (Paul), Keith (Trisha), Jennifer, and Harley; great-grandchildren, Nyla, Emelia, Brandi, Jacob, and Harlow; and friend, Sandy Hill. Family and friends may visit on Sunday, December 9, 2018 from 2-5 p.m. at NEWCOMER FUNERAL HOME, 131 N. Canton Rd. Funeral Mass will be held on Monday at 10:30 a.m. at St. Bernard Catholic Church on Broadway in Akron. Interment at Holy Cross Cemetery. Add your memories to the guest book of Andrew Friscic.